If you have ever been through a trek in the woods, you know how essential it is to have something to clear your way with. Of course, not just any old thing would do. You’re going to need something that is strong, durable, and has the ability to hack and slash even the densest brush. 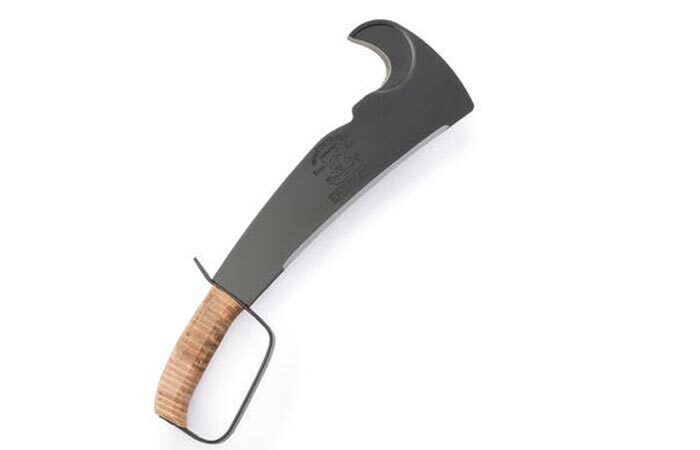 Well, if you’re an avid camper, or even if you just need something reliable for around the home, then the Woodman’s Pal Premium Military Axe is just what you need. Designed to be a multi-tool, and an essential piece of camping equipment, the Woodman’s Pal is reliable, durable, and super useful. This axe was designed according to Military Specifications. If you need to trim, cut, chop, trim, prune, or even just hack away, then this is the tool that you are going to need at your side. Of course, it is made with the utmost quality in mind. The Woodman’s Pal is of premium military quality, and features a MIL-SPEC LC-14-B specification. Besides looking awesome, you can rest assured that it’s a tool that is top of the line. 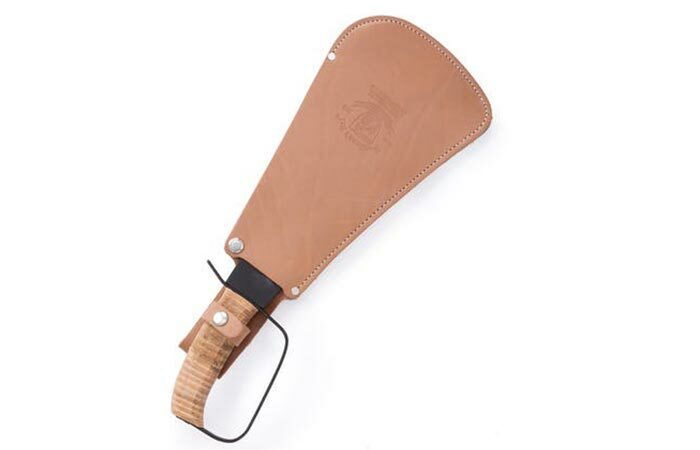 It also features a 5″ soft leather grip with a steel knuckle guard. To ensure that your hands stay blister free, the Pal comes with a 5” soft leather grip with a steel knuckle guard. It’s also sharp enough to cut through branches 1” in diameter in a single stroke. If you were looking to remove vines, the sickle hook is the tool that you will need. It also slices through briars and is superb in removing unnecessary ground level growth. The blade itself is also annealed, and it’s constructed from high carbon steel. This means that it will never chip, or crack, even in subzero temperatures. Balance is also important, and this is why the Pal comes with a precision line of balance. This balance runs from the handle through the sickle curve. Of course, it comes with anti-corrosion properties in the form of a black powder coating. It also features a safety toe that extends 1” up the axe side for deflection. 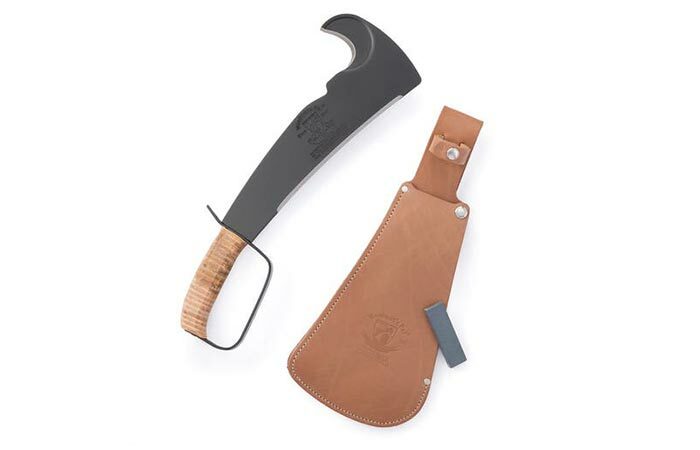 It also comes with a leather sheath. The blade itself is concave and is ground for extreme strength while retaining edge-holding capabilities. It’s also 100% USA made in Pennsylvania. It measures 16 ½” overall, with a blade length of 10 ½” and a thickness of 1/8”. It also weighs 23 ounces. Don’t miss out on our other awesome axes here.